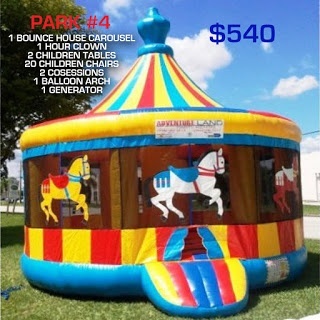 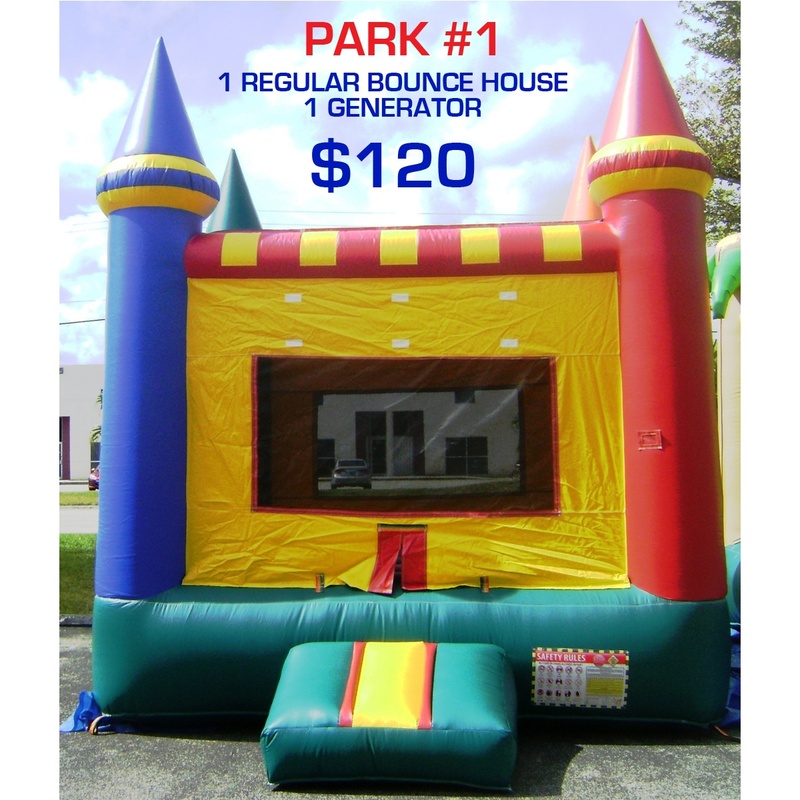 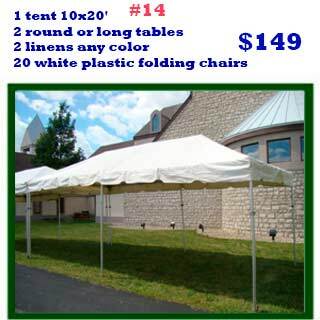 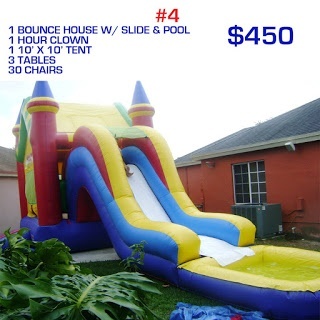 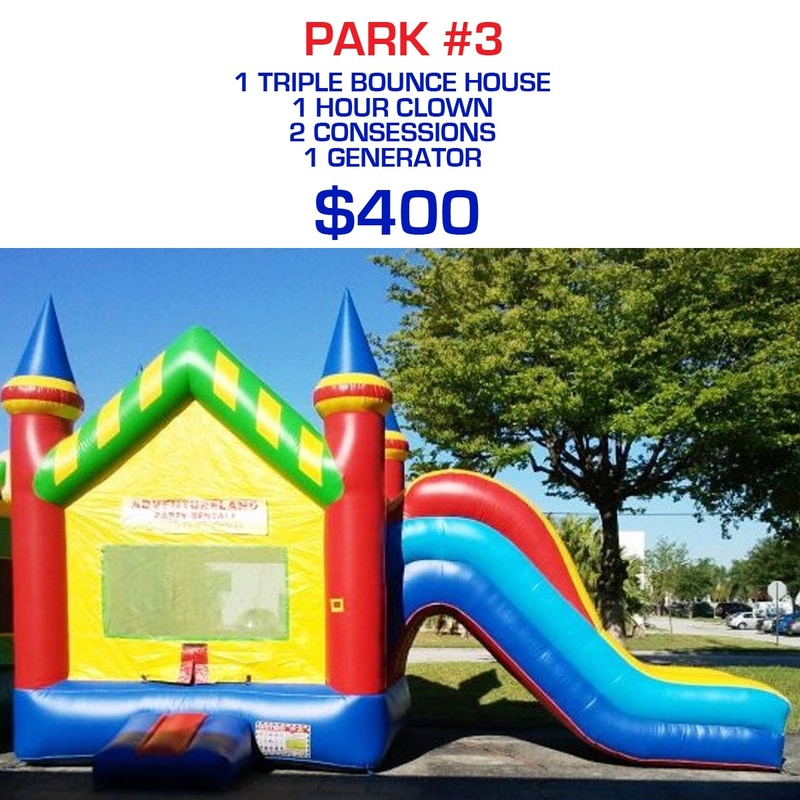 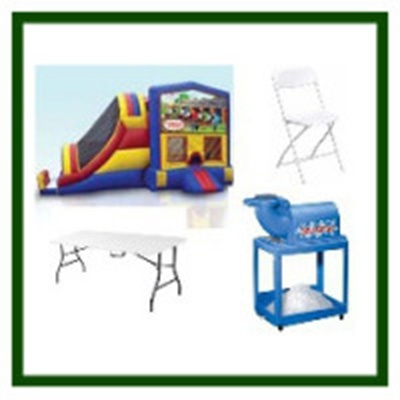 We got 14 Party Rental Specials to Choose From! 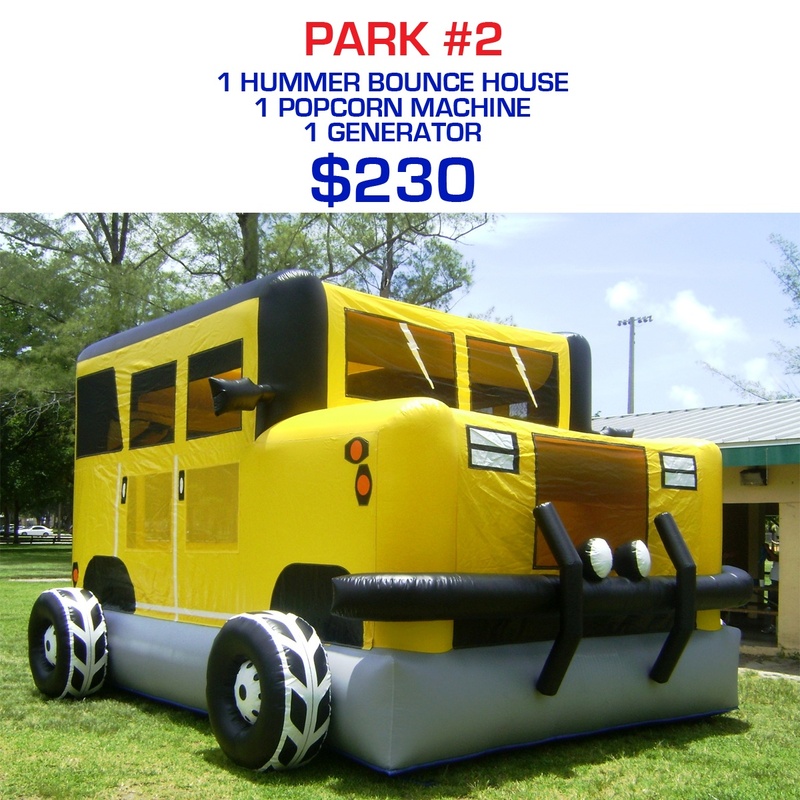 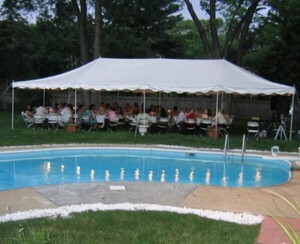 We got the economical packages starting at only $120 for all Party Rental Specials. 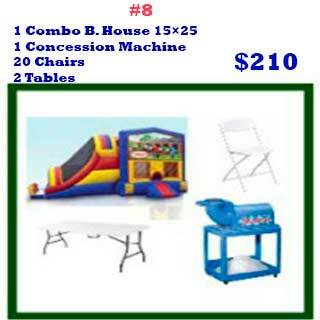 But we also got more elaborate packages for bigger events and everything in between. 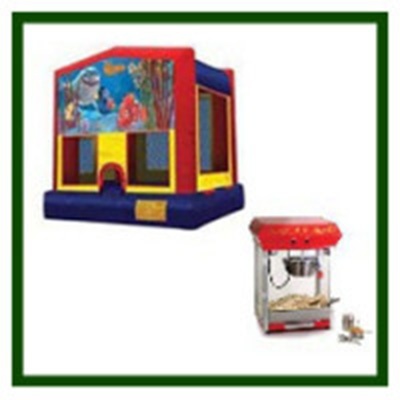 Don’t see a combination you like? Give our team a quick call and we will accommodate you the best we can. Here are some of the packages we recommend. 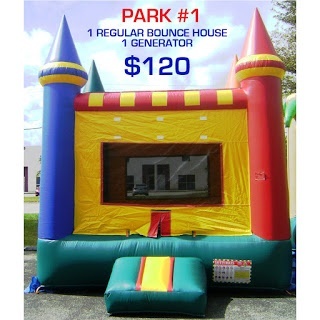 This package is for does that want to have two ways to entertain their guest. 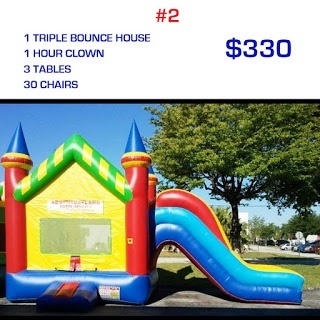 Have the kids bouncing in the bounce houses and when they are tired have a clown to entertain everyone. 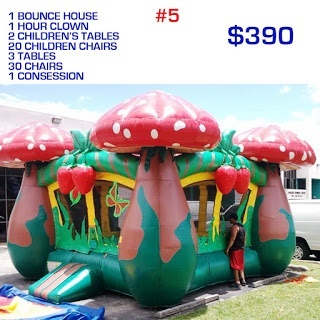 This one comes with 30 chairs and 3 tables. 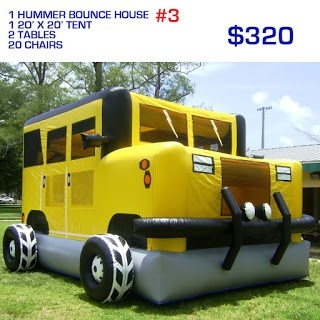 If you are on a budget but still want to have double the fun than this one is just right for you. 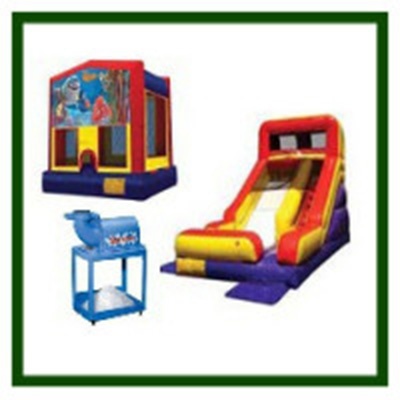 Choose between a hotdog machine, popcorn machine, snow cone machine or cotton candy machines and a moonwalk. 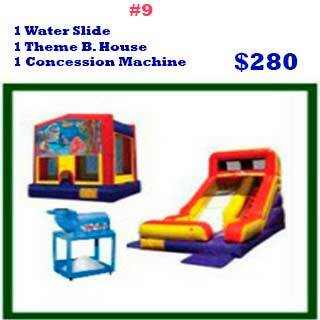 A very affordable package, call us for more details. 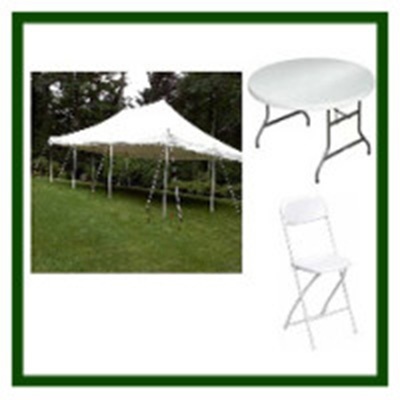 This one is for does that want an event outdoors. 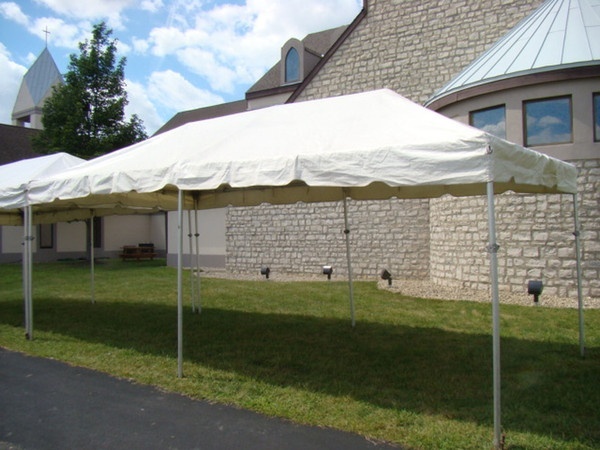 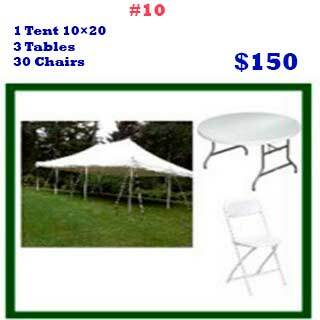 It brings a 20×20 tent and 5 round tables. 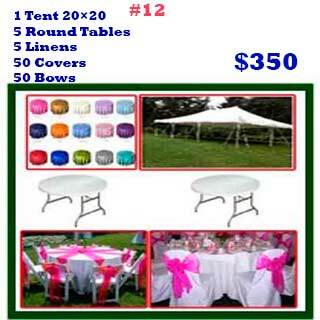 It also includes 50 covers, 50 bows, and 5 Table linens. 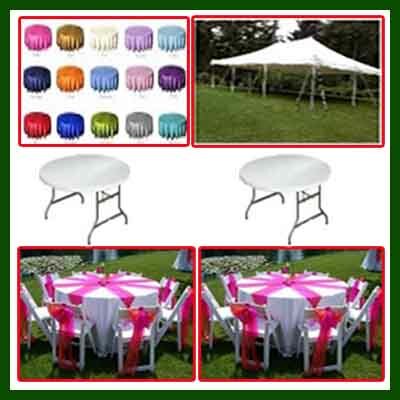 If this one is not enough we got many outdoor packages you can select. Can you add more to your special packages? 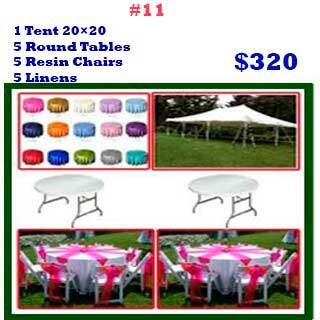 We can always increase product and services if needed. 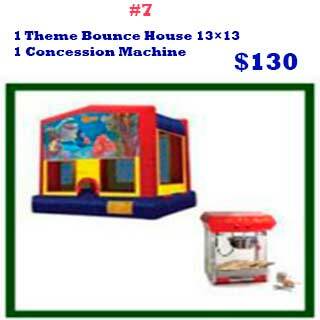 These packages are not the only combinations we have. 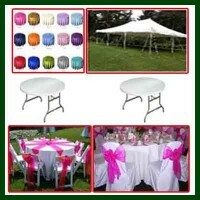 If you need a tailored made package just contact us, and we will happily construct the perfect one for you. 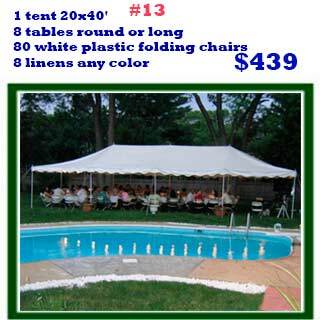 Our Customer reviews online are top notch. Don’t just hire anyone for your party needs, do your research as hiring the wrong party rentals in Miami way can cost you stress and money. Our company is licensed in Miami FL, we work together with all the parks and venues in Dade County. So give our friendly staff a quick no obligation call today!